lined up moai at different heights. This moai has eyes that say it is awakened and a red rock on it's head. · Huge stone statues were carved on Easter Island, hundreds of years ago. · There are more than 600 statues in Easter Island. · Some statues are bigger than 40 feet tall. · Easter Island is famous as a site of enormous statues of people were carved. 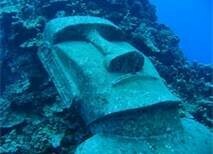 · Easter Island is located about 2300 miles off the coast of Chile. 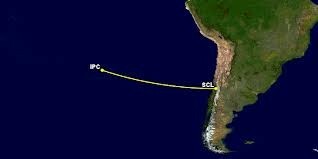 · Chile runs Easter Island like it’s there state. · The island 64 miles long. · The soil there is very stony. · The only fresh water comes from wells and tanks. · There are craters from extinct volcanoes. · 2800 people live on the Island. 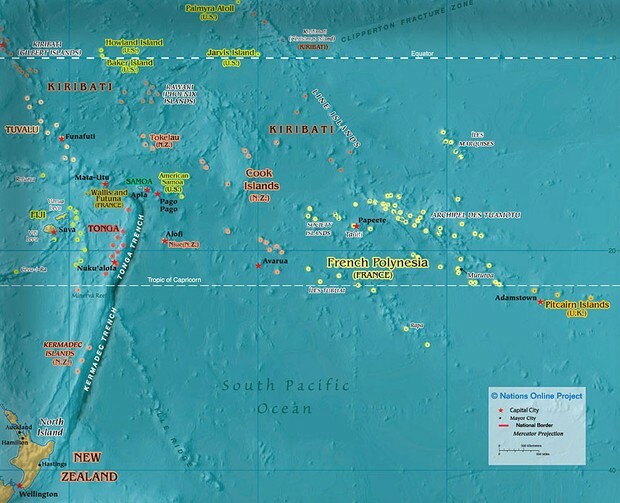 · Most of the people are Polynesian. · The rest are Chilians. · Spanish and Polynesian language are both call Rapanui. · Easter Islands Spanish name is Isla de Pascua. · Its Polynesian name is Rapanui. · Scientists believe that Easter Island was settled about A.D. 400. · Some say they were American Indians and Polynesians. · The early islanders created famous statues called the moai. · The moai were intended to honor ancestors. · The Islanders used pick axes to carve the statues from the rock of the an extinct volcano. · They set up the statues on raised temple platform called ahu. · Huge stone red cylinders were balanced on the heads of some of the statues. · Even today the erecting such large statues and balancing the red stone on top of them would be a difficult project. Easter Island is located 2,000 miles of the coast of Chilie. On Easter Island There are these enormous statues called Moai, they are made of volcanic rock. They say that the rocks are about 14-40 ft tall, there are ton of theries of how they got their. Scientist say that they made some type of wagon that is made of wood. The other thing how the moved it was the strong men pushed and pulled on them. On the top of the of the Moai's head is a bid read stone. Some of the moai have eyes and a hat but some dont. The ones who have eyes and a hat were in a cerimony. An educational video for kids. From the Attenborough Special"The Lost Gods of Easter Island." Topknot-A tuft or crest on the head of the bird. Deplete-To increase a serious amount of supply. 1.Where is Easter Island located? Easter Island is located 2000 miles off the coast of Chile. 2. Who were the first settlers on Easter Island? Where did they come from? The first settlers on the island were Polynesien settlers from Polonesia. (Southern Pacific Ocean). 3.What are some of the biggest mysteries surrounding Rapa Nui?Some of the biggests mysteries are how the Moai got were they were and who put them were they are at today. 4.What do you think the moai were used for. I think the Moai were used for sights for travelers.